Fantasy Sports Wins an Ignatz Award! A very big congratulations to our friend Sam Bosma on his incredible win at the Ignatz Awards this past weekend at SPX! Fantasy Sports No. 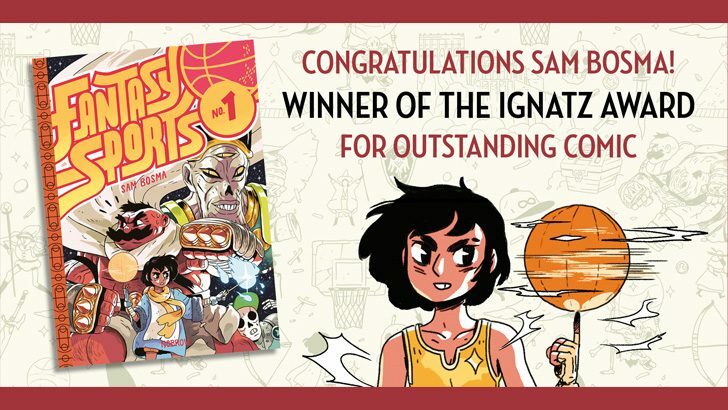 1 won the Ignatz Award for Outstanding Comic, and we couldn’t be more excited! Sam was nominated along with some genuine giants of comics– Melanie Gillman, John Martz, Daniel Clowes, and Kim Deitch. Congratulations to all the nominees, a big thanks to the folks at SPX and the Ignatz Awards Jury for counting Fantasy Sports among the outstanding comics of the year, and an extra special thanks to all of the attendees who threw in their vote for Fantasy Sports! 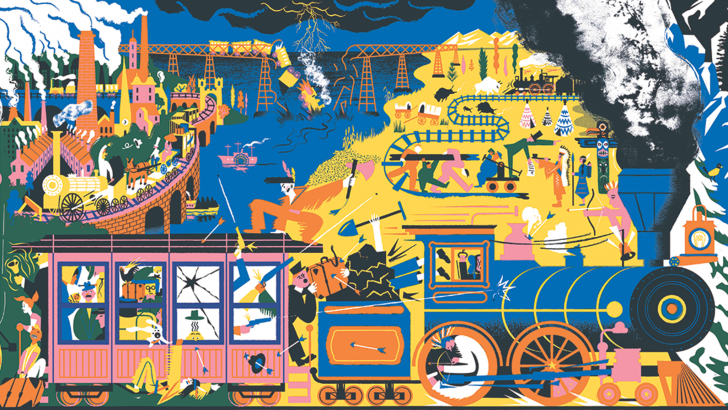 Berlin-based couple and illustration duo Daniel Dolz and Doris Freigofas – AKA Golden Cosmos – are back with a brand new Leporello in their distinctive, colourful style! Having taken us flying high through the sky with a history of aviation in High Times, they are now bringing us back down to earth with Locomotion: a beautiful and factual guide to the history of train engineering and travel. Which part of Locomotion was your favourite to draw? The history of trains is really diverse and we had fun going through the years, always being excited about what was to come next. The early beginnings of trains with the first steam machines and all the adventurous experiments like the Rainhill Trials were particularly fun to draw, especially visualising the sounds, the smell, but also the grace of those monstrous, heavy locomotives. How do you work together on a piece like this? Do you delegate different jobs to each other? We’re both involved in the whole process, but we’ve started to allocate work. We’re not working on the same illustration at the same time. For Locomotion, Daniel was making the major part of the illustrations while Doris was involved in the sketching process and idea generation. This was because our second child was born in the middle of it! What was the most interesting / surprising fact that you learned about the history of trains? We were really amazed by the fact that on the Canadian Pacific Railway there are cargo trains that are four kilometres long and need 13 engines to conquer the Rocky Mountains! 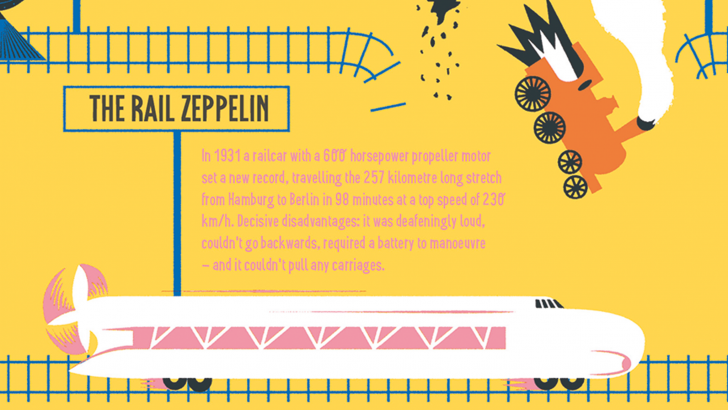 And of course we had to include some crazy inventions like the Rail Zeppelin – a train that looked like a Zeppelin on rails, driven by a propeller! This train only had one maiden voyage from Hamburg to Berlin and set a speed record at that time. 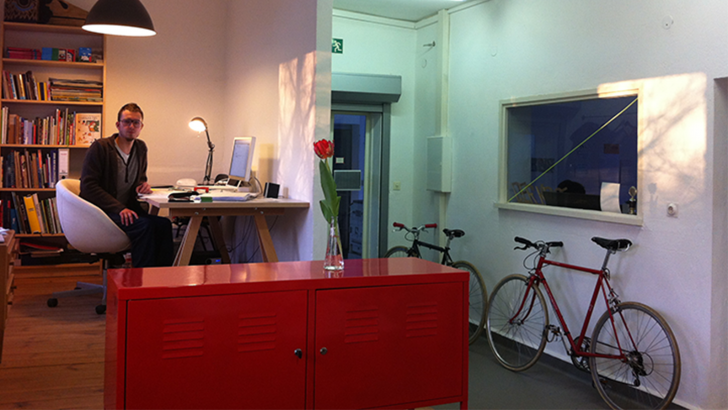 You’re based in Berlin, what are your favourite things about living and working in the city? Actually we’ve been thinking of buying some old farmhouse and moving to the countryside. There’s this part of us that would like to be closer to nature and be far from the fast pace of the city. But we would quickly miss all the things that are so special about Berlin: the great diversity of lifestyles, the tolerance in views of live, the tasty and affordable food, the barbeques with friends on the balcony, going to see an exhibition on a Sunday afternoon and wandering over to the flea market by the canal afterwards… On the one hand, you can always discover new things in Berlin, the city is changing so fast. On the other hand, there are places that haven’t changed much since we’ve moved here 12 years ago. This continuity makes this place our home. 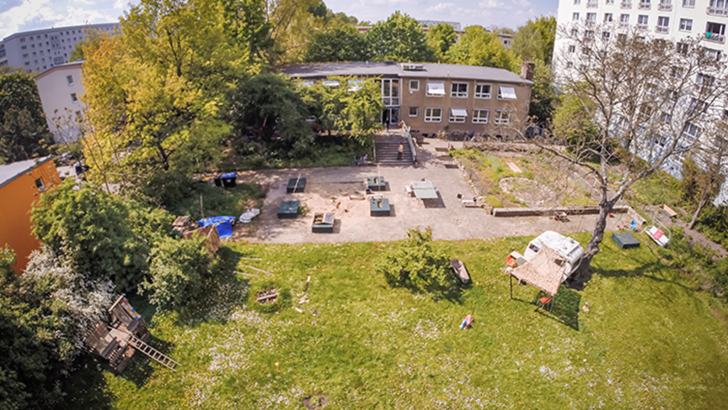 Our studio is located in a former Kindergarten in Lichtenberg, a part of Berlin that is becoming more and more interesting to young people and creatives as it’s become hard to find affordable space in Neukölln or Kreuzberg. The house is shared by around 25 creatives, artists, designers and photographers. There is also a huge garden where we grow vegetables in the summer. Which illustrators / artists are you most inspired by? And which new talents are you most excited by? The Bauhaus is an inexhaustible source of inspiration for us. The Bauhaus philosophy is interdisciplinary and so comprehensive! It’s not just the graphic work that inspires us. 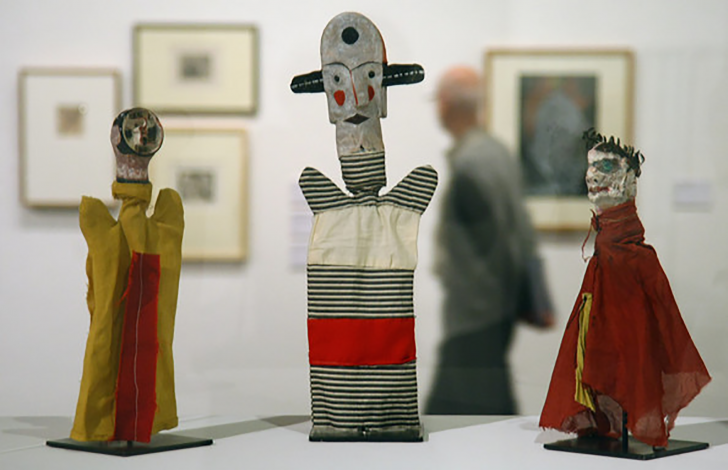 For example, we’ve just recently come across a collection of hand puppets that Paul Klee made out of everyday objects for his children. We also love the work of Christoph Niemann. His illustrations are so humorous and pointed. He likes to experiment stylistically so he always surprises you. Last year we discovered the work of Cynthia Kittler and totally fell in love with her style and ideas. She is part of the PARALLEL UNIVERSE COLLECTIVE, a group of six amazing artists from New York, Berlin and Hamburg. Thanks so much to Doris & Daniel! 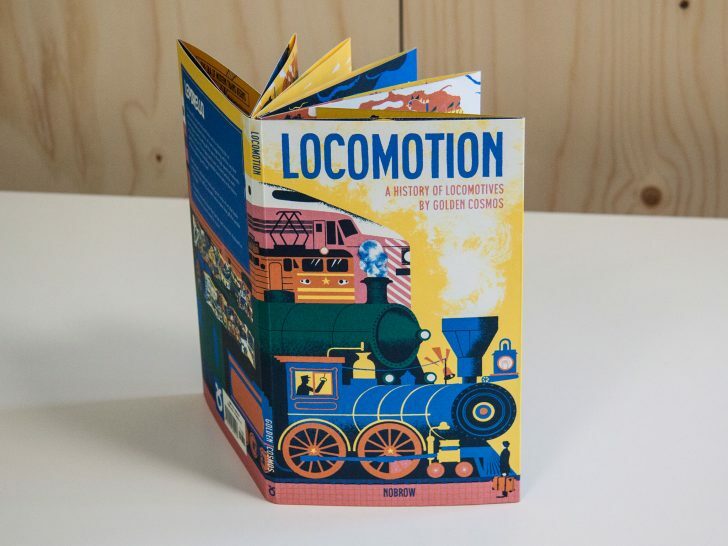 Locomotion is available to buy now HERE and in all great bookshops! GET READY! WE’RE COMING TO SPX! 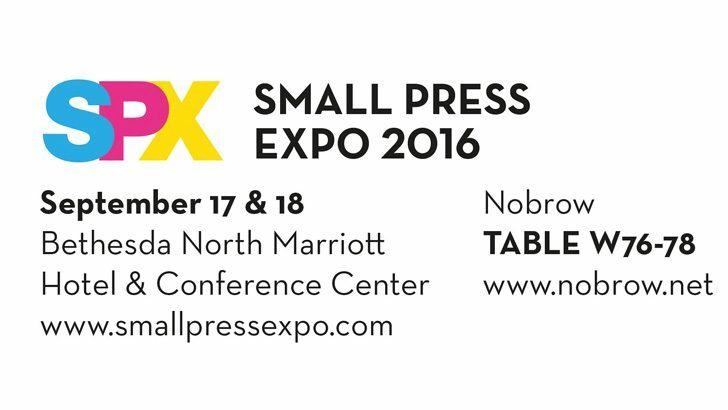 You better make sure your weekend is free because NOBROW is headed to SPX, and WE’RE BRINGING SOME HEAVY METAL! SPX is always special, and this year we’re bringing along some extra-special guests. We’ll be rolling in with Sam Bosma (Fantasy Sports series), Wren McDonald (SP4RX, Cyber Realm), Luke Healy (How To Survive in the North), Jeremy Sorese (Curveball), and José Domingo (Pablo & Jane and the Hot Air Contraption), and they’ll be hanging out, signing books, and drawing up a storm! It’s going to be an exciting SPX for us because we’ve got not one, not two, but THREE Nobrow artists nominated for Ignatz awards! Ryan Heshka (Mean Girls Club) is nominated for Outstanding Artist, Joe Sparrow’s The Hunter is nominated for Outstanding Story, Sam Bosma’s Fantasy Sports is nominated for Outstanding Comic. We’ll have all of those titles with us so you can experience all that top-tier prestige first hand. “But will you have anything new?” Buddy, you better hold on to your hat because we’re bringing some amazing new titles, a bunch of your old favorites, and some stuff you haven’t even seen! 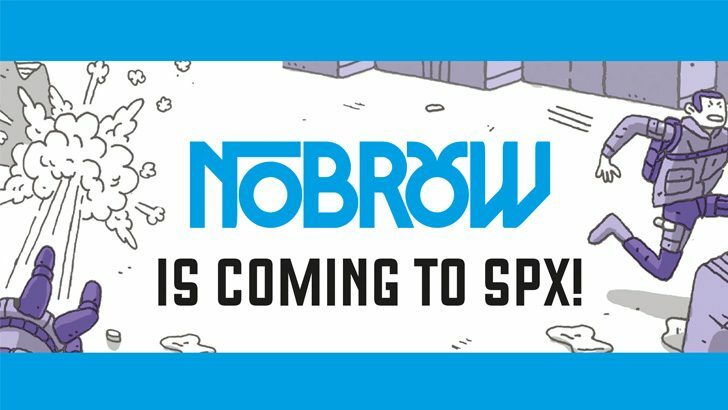 Get ready to be among the very first to get your hands on two SPX exclusive debut titles, Luke Healy’s How To Survive in the North, and Wren McDonald’s SP4RX (be sure to check out the killer book trailer on our Vimeo page). Both will be out later this year, but we’ll have advance copies ready for you at our table! We’re also bringing along a couple of certified mega-hits, Sam Bosma’s Fantasy Sports 2 and the latest in Luke Pearson’s Hilda series, Hilda and the Stone Forest. There’s going to be so much good stuff, we can’t wait to see you there! Yahhooo, Dogs in Cars is here! 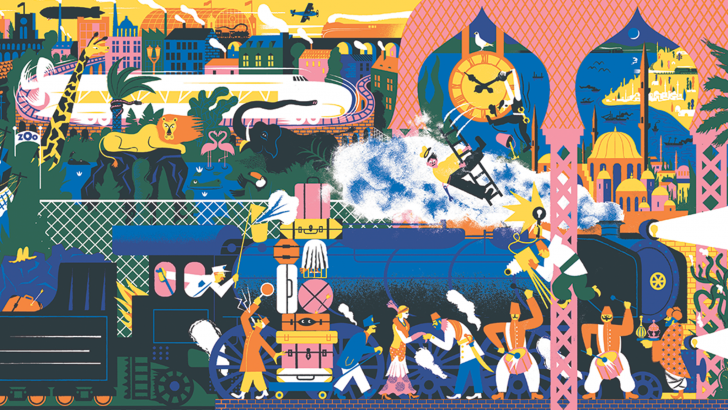 Count to 100 through the many breeds of dogs from French bulldogs to Great Danes, as they wreak havoc upon the streets in their recognisable locomotives! 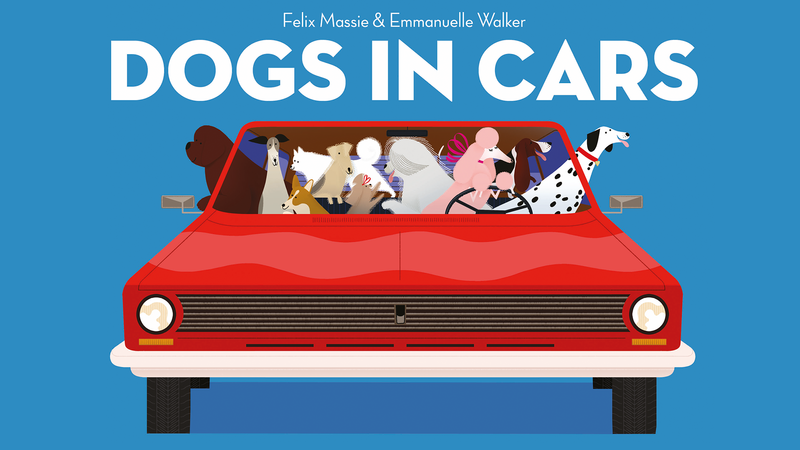 In this hilariously illustrated introduction to the world of dogs and cars, Emmanuelle Walker and Felix Massie pay homage to these glorious animals and their moving machines. To celebrate its release, we caught up with illustrator / animation director extraordinaire, Emmanuelle Walker to talk about collaborating with Felix on this cool canine car compendium, illustration, animation and more…! 1)What came first – the words or pictures? How did you and Felix collaborate on the project? What came first was a spreadsheet. A spreadsheet including a list of A to Z breeds, and car brands – because yes, the number of dogs corresponds to the number of each alphabet letter, which also corresponds to the name of the dog breed and the car brand! A=1 – Alpha Romeo/Afghan hound, B=2 – Bentley/Beagles, C=3 Citroen/Corgis, D=4 – Delorean/Dalmatians, etc. I then gave that list to Felix as a base for the text, and it evolved from there. He picked the breed and the brand that he thought served the story the best. He added to the dog and car list too if he thought there was an even better option. He did a first draft, and that’s really when I started working. Over time some of the rhymes slightly changed, but the idea stayed the same. 2) Which is your favourite spread from the book and why? 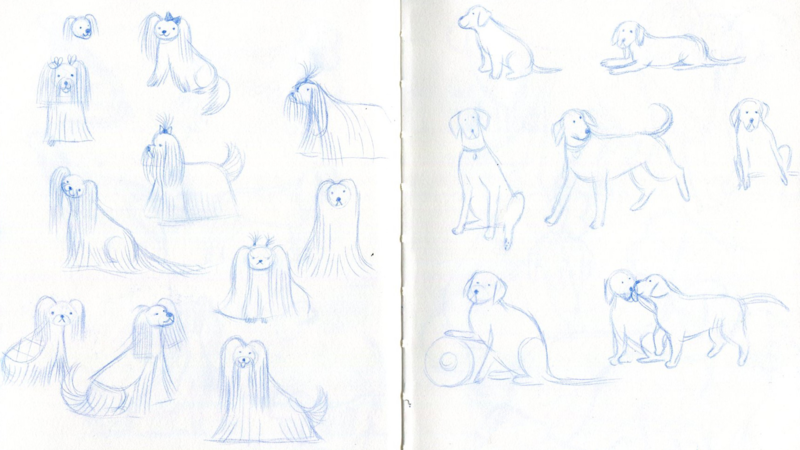 The dog I had the most fun drawing was probably the Old English sheepdogs, because I love drawing hairy things, could you count all the hair on that spread? I like all the book spreads, but the special one is probably number 10, where I drew my dad in his blue Jeep and myself as a child with our 10 Jack Russells (even though we never had a single Jack Russell!). 3) Do you have a dog? If so what kind and what are they called? If not… what kind of dog would you most like to have? No I don’t, unfortunately. My favorite dog in the world is probably the whippet because of all the crazy positions they can make thanks to their long limbs. If I had a garden big enough (or if I had a garden at all) I would have one. 4) Could you tell us a little bit about your illustration process? I usually do some sketch research first. There were so many different and sometimes similar breeds, so I had to find a way to simplify them and understand the shapes. To have a better general overview of what the book was going to look like, I did some super quick thumbnails of the spreads. Then I prepared a template document in Photoshop because I wanted all the cars to be proportional to each other when you flip the book pages. 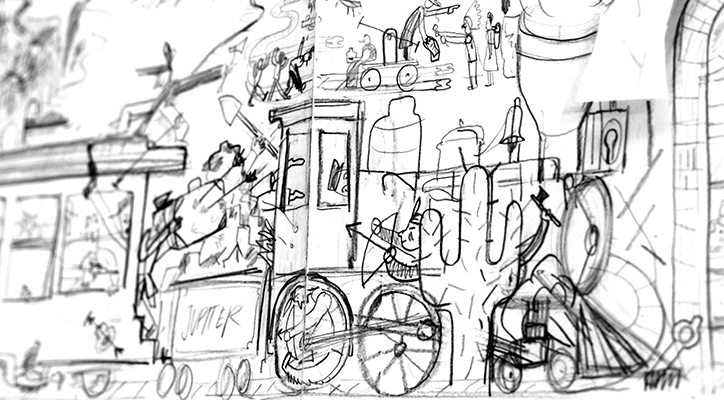 So the small cars are tiny on the page, versus the trucks for example. Once I had the template I picked the illustration I wanted to do the most on that day. I started with the 13 Maltese. I then roughed the car first, then the dogs and background with a thin black line. Once I was happy with the rough I made a colour-test layer to decide what the colours were going to be. Sometimes it’s a quick process, sometimes it’s harder to find something that pleases me. At this stage it’s only refining that’s left but that’s the longest and most tedious part! Once I was happy with the colours I started selecting the different zones of the illustration with the freehand lasso tool. Basically, every colour is a different layer so I can easily change things if I need to. And for the rest of the pages, I balanced everything depending on the number of dogs on the page. So if I had to draw a lot of dogs for one page, I would then pick one with less dogs, and so forth. 5) You work now as an animation director, what do you enjoy most and what are the challenges involved with making a children’s book outside of your day job? I can’t really pick a favourite between directing, animating, and illustrating, I need the three to feel balanced. Animation is great, and bringing characters to life is extremely satisfying, but it can be very tiring to draw the same drawing over and over, (and then retracing/cleaning up everything afterwards). Illustration is great, you can take all the time you want to create one single image but it doesn’t move! And finally directing means that you often get to work on bigger projects, with a team to help you, but it can be stressful and the clients are not all always easy to manage. Luckily I work with great producers who take care of them most of the time. Because I don’t have a regular schedule or regular clients, my days are always different. I have some super busy months where I stay at the studio until midnight, and other times, I can go weeks/months without working. The main challenge I’d say is not to get too stressed in the down times and try to travel a bit to work on personal projects (that will often bring you more work), find some inspiration elsewhere for other projects, and disconnect for a while. Thank you so much Emmanuelle! Drive away with a copy of Dogs in Cars now!